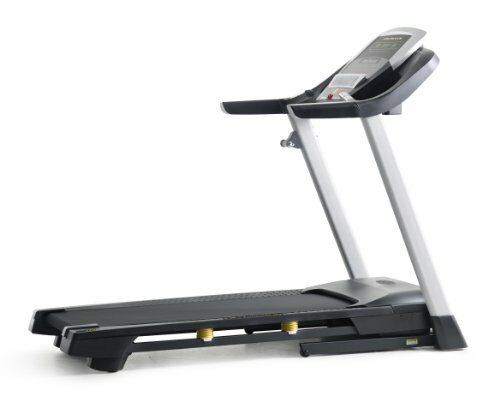 Conquer your fitness goals with incredible comfort and simple convenience with the Gold’s Gym Trainer 720 Treadmill. Adjust your incline up to 10 percent to maximize workout results. Choose between 18 different workout apps designed by a Certified Personal Trainer that automatically adjust the speed and incline of the treadmill. AirStride cushioning offers ultimate joint protection and the Interplay music port allows you to listen to your Apple iPod or MP3 player for extra motivation. Treat yourself to a powerful workout and incredible performance designed to help you reach your pinnacle of fitness.